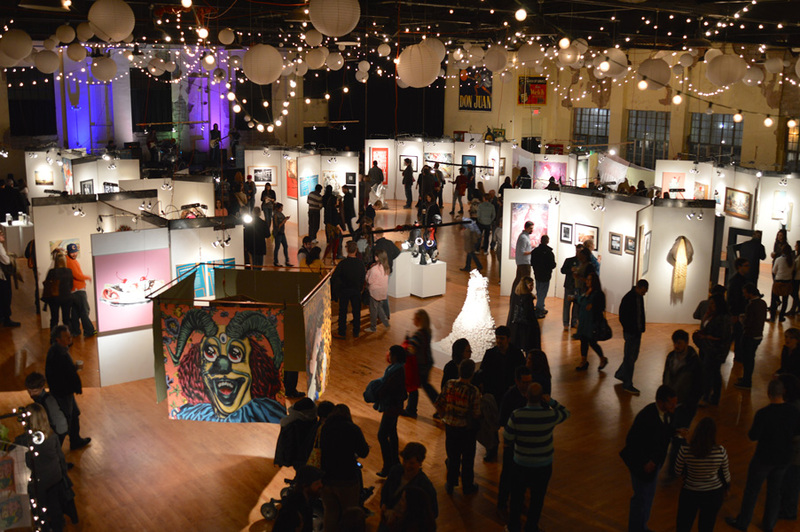 Commerce, innovation and art blend at events such as Oklahoma Visual Arts Coalition’s Momentum 2014 in Oklahoma City. Photo courtesy Oklahoma Visual Arts Coalition. 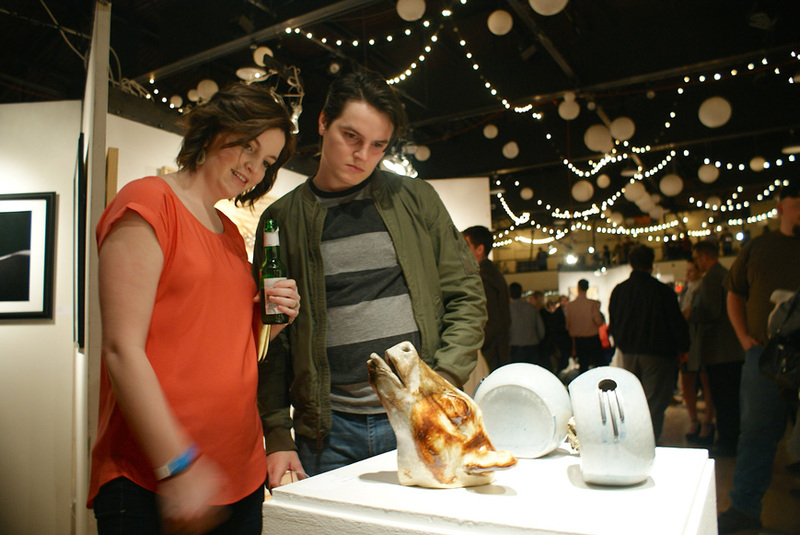 Guests of oklahoma visual arts coalition’s momentum 2014 in oklahoma city live the culture of oklahoma’s art scene. Photo courtesy Oklahoma Visual Arts Coalition. When one encounters a successful and thriving business economy, often not much credit is given to the arts. But, according to Holly Moye, executive director of Oklahoma Visual Arts Coalition, the two are definitely connected. [pullquote]Oklahoma’s economy ranked as the fourth fastest growing in the U.S. from 2012 to 2013, according to a report published this year by the U.S. Bureau of Economic Analysis. [/pullquote]“Business development is a sign of a healthy community, and the arts are certainly a part of that,” she says. “Where arts and culture thrive, new businesses are more likely to be attracted. Businesses, likewise, are becoming increasingly reliant on the arts. The arts can inspire creative thinking and innovative approaches amongst their employees. And when businesses thrive, they are more likely to give back to their communities, and that often means investing in quality of life, such as the arts. 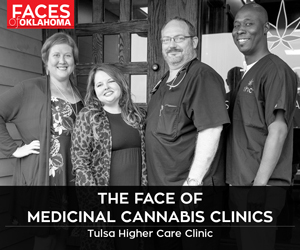 “There are many examples of this happening here in Oklahoma, like the support from the energy sector in Chesapeake, Devon and Continental Resources, the great investments of the Kaiser family in Tulsa, as well as smaller local businesses like Dunlap Codding in Oklahoma City,” she continues. Ken Busby, executive director and CEO of the Arts & Humanities Council of Tulsa, agrees. Oklahoma’s two major metro areas – both Oklahoma City and Tulsa – are currently experiencing booming economies. And with these booms have come flourishing arts scenes. Arts districts have continued to grow, with new pockets popping up. Artists are finding increasing support in the form of expanded arts organizations, new museums and gallery space and affordable studio space. Busby says that the growing support of the arts is par for the course for this state. “Oklahoma is a state of creativity,” he says. “We have a spirit of entrepreneurism in the state. I think that this [growth] is recognition of the quality of arts, but we also have a rich art and cultural heritage and vibrancy. “The Brady Arts District is thriving, and the same is true in Bricktown and other creative areas around the state. Using arts as a catalyst, these are where the cool, hip people are hanging out and opening interesting restaurants, shops and boutiques…livable, walkable communities are being built and thriving,” he adds. Moye says that the booming arts scene right now is the result of work that has been years in the making. Busby says he expects to continue to see growth in existing arts neighborhoods as well as new pockets popping up in both metro areas as well as around the state. Moye believes that the continuous growth of business will propel the arts.